A few days ago, we had lunch at a lovely tapas restaurant here in Boston, and I fell in love with the decor. So many cute details! 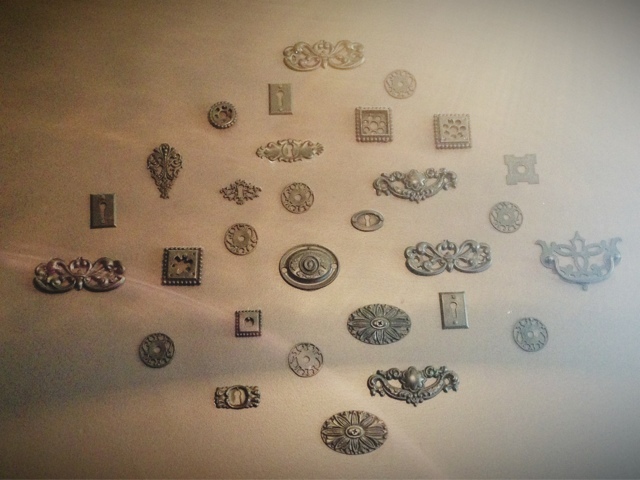 I couldn't help but take a picture of this vintage hardware collection up on the wall and share it here on the blog. Isn't it nice? This is the second post I write about displaying collections. Here is a link to the first post. I really like how differently people display their collections, it is fascinating to me. I just favorited your shop, great pictures!